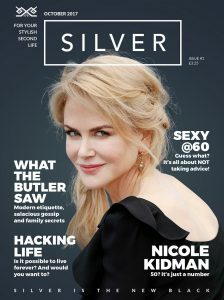 Subscribe to Silver Magazine Quarterly in print by clicking here. We offer special introductory rates, including getting your first issue absolutely free, with NO obligation. Try one, and if you don’t like it, we won’t send you any more. We think you’ll be hooked though. We also have an amazing introductory deal which saves over 50% on the standard subscription. And we have a regular newsletter which comes to you – absolutely free – every month, packed with news, competitions, interesting reads and special deals just for Silver readers. Also, all subscribers automatically become Silver Travel Club members, at no extra cost. For more info, and to sign up to receive our newsletter please click here.